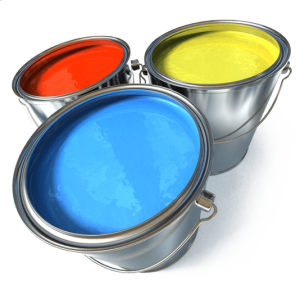 At R.A. Painting and Decorating our focus is to provide exceptional home painting services and decorating services at affordable prices. 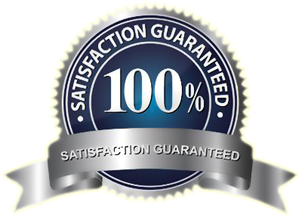 We pride ourselves on our work and aim to provide services that will leave our customers happy and proud of the finished product. Why replace your old cabinets or piece of furniture when we can refinish it and have it looking just as good as the day you bought it. Contact us today for an obligation free quote on any of our services listed to the right an we’ll be happy to provide you with an obligation free quote for your next project. 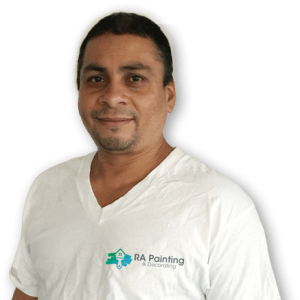 Why Should You Contact a Professional Like Ruben To Paint Your Home? Although you may decide to paint your own house, then you should know that house painting is more than buying a brush and a can of paint. Ruben is a professional house painting expert that has modern equipment and tools. By hiring this professional, you will be saving money that would have otherwise been spent on buying these tools. Furthermore, he has the ability and skills to operate the painting equipment hence, you can rest assured that your house is in safe hands. Nowadays, there are thousands of different paints on the market, and this can make it quite tedious and overwhelming for you to choose the best one. Ruben know’s the cons and pros associated with each variety of paint. Hence, he will help you to choose one that suits your personal preferences and tastes as well as your house. Ruben has the equipment and skills to create a mix of a wide variety of colors and thus, you won’t be limited to just one specific color. If you want to hide some scratches, then the expert can give you a perfect color mix that matches the existing color of your home. A professional like Ruben does not start their work without an examination of the current condition of your walls. The examination will help to determine the paint types, the number of primer and paint coats, as well as the use of wall putty. All these will determine the life of the wall paint. Thus, hiring Ruben will ensure that your interiors and exteriors remain in the perfect condition for a long time. Once you have hired Ruben, you won’t need to take on any more stress. You will just have to relax and inspect the work at each day’s end to make sure that quality work is being offered. Can you imagine the stress you would have put yourself through if you had taken the work all on yourself? Ruben will always finish his work within the agreed time-frame, except in cases of unavoidable circumstances. This can be a huge benefit, especially when you need the painting job done immediately. After the job completion, you will be left with a well-painted home. However, everything does not just end here. You will also need tips on how can you maintain the look of your walls and cause minimal damage. These are things a professional will be able to advise you. How to make the emulsion paints stay on the walls for a long time and cleaning tips can be provided by the house painting expert. House painters are titled “professionals” or “experts” for a reason. They have a vast experience and knowledge in getting the paint job done the best way. Although house painting may sound like a simple task, let me tell you that there is a lot of time-consuming and detail-oriented work that goes into it.If you don’t know what you’re doing, then you could create a huge disaster. This is the key reason why contacting a professional house painter is much better than doing the job yourself. A home painting professional can provide both interior and exterior painting services like painting bedrooms, painting ceilings, and interior walls, painting the roof and exterior walls etc. They can also make sure that your property is protected and your family is safe all through the painting process. A professional painter can help you create the ambiance you want by using color and flair. A professional can also visit your home to discuss the painting job and give you an estimate; you will not even need to get your hands dirty! Have Any Question at all?